How do you ensure that your staff undertake the training most relevant to them? How can experienced staff learn at their own pace and avoid just repeating the basics? 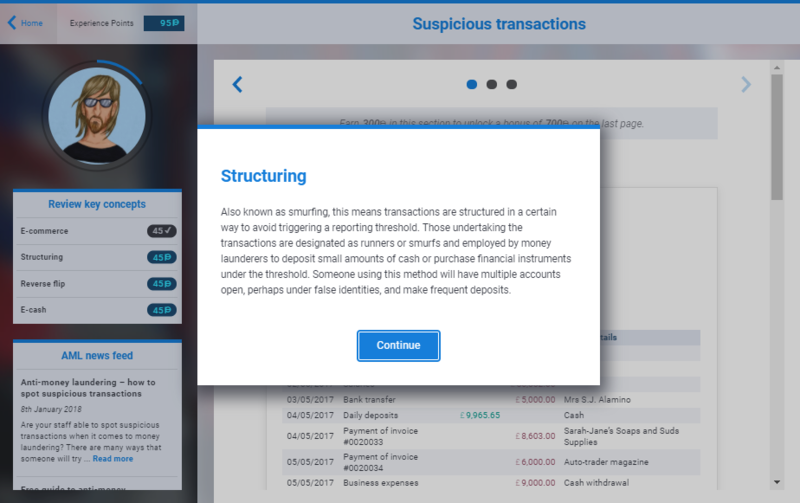 VinciWorks’ two new gamified courses, Anti-Bribery: Know Your Deal and Anti-Money Laundering: Know Your Risk, allow users to “test out” and demonstrate their mastery of the subject matter quickly. How does “testing out” work? When completing these courses, users can jump directly to the scored scenarios and achieve the required number of experience points by answering everything correctly. Staff who answer incorrectly or who feel more comfortable reading background material first can choose to review the additional material and accrue enough experience points to complete each module that way. Giving users the ability to “test out” means organisations can ensure the time their staff spend in training is spent most effectively and on content that is relevant to their knowledge and understanding of the topic. Of course, staff who reach the pass mark for each module quickly can always read the additional material to gain more points and try to achieve a company or industry-wide high score. This course takes the risk-based approach mandated by the Fourth Money Laundering Directive and drops users into real life, immersive scenarios to test their knowledge, understanding and ability to uncover risks of money laundering hidden in everyday transactions. In this course, users encounter clients and need to make risk-informed decisions. In Anti-Bribery: Know Your Deal, users face a set of realistic characters and scenarios, some of whom may be trying to offer, or ask for, a bribe. It is up to users to assess each situation and decide on the best course of action based on company procedures and the law. This entry was posted in Course & product updates, Thought leadership on 19th February 2018 by VinciWorks.